Lao food is rightfully gaining worldwide popularity. 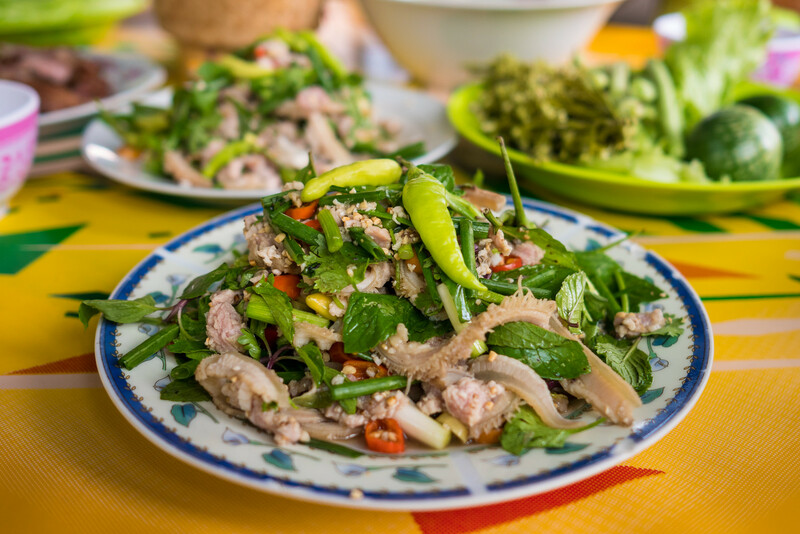 Vientiane, the capital and largest city in Laos, is a premium destination for food lovers – get ready for laap (Laotian meat salad) and so many other dishes to blow you away. In this Vientiane travel food guide for food lovers, I’ll share with you the details of the best restaurants and street food I tried, plus some extra helpful travel tips like what to do, and where to stay, to make your trip amazing. 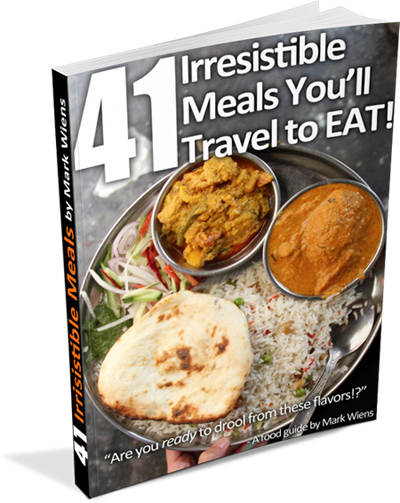 Most of the restaurants mentioned in this Vientiane travel guide are within my video series as well. You can press play to watch it now, and Lao food. Like other major capital cities like Bangkok, one of the food benefits of Vientiane is that you’ll find restaurants and street food serving regional variations of Lao cuisine from around the country. Lao food encompasses an incredible spectrum of vibrant ingredients that will literally blow your taste buds off your tongue. Probably what I like most is Lao cuisine really knows how to balance each dish with an abundance of herbs, that doesn’t come across as overwhelming, but rather complements each other ingredient perfectly. When you eat in Laos, it’s important to order yourself a mix of different dishes for a complete meal. You’ll want to order a soup, possibly a meat salad (laap), a chili dip (jaew), and the mandatory sticky rice (khao neow). In Vientiane it takes some effort to get out of the main touristy areas of town, but I can assure, make some effort, and the Lao food will reward you. Khua Din Morning Market – At this bustling morning market in Vientiane, you’ll find an ocean of fresh ingredients in the parking lot from about 5 am – 8 am, but the permanent section of the market is open throughout the day. At the back of the market, I found a few stalls serving a huge array of Laos stews, grilled dishes, and jaews (chili dips). Ban Anou Night Market – This quiet evening street food market, within walking distance of the main tourist riverside area of Vientiane, is a great place to sample a variety of street food – especially grilled meat and sticky rice. Pa Kham Tan – Laap is one of the most well known of all Lao food, and Pa Kham Tan is a local spot that serves an outstanding, bile seasoned plate. This is easily my personal favorite restaurant in Vientiane. Khao Gee Mae Sab (not officially on the map, but I plotted it) – Thanks to Joe for the recommendation, this shop-house serves the Laos version of baguette sandwiches (or with eggs), using all house-made pâtés and cured meats. Tam Luang Prabang – Luang Prabang is known for their Lao pounded salads, and the owner is from Luang Prabang. Her tam mak hoong (green papaya) and tam mak kluay (green banana) salads, will blow you away. It was actually better than any place I found in Luang Prabang itself. Anna Grilled Duck – Order a plate of roasted duck marinated in padaek (Laos fermented fish sauce) and paeng pet, fresh raw duck blood seasoned with Laos mint, peanuts, and crispy shallots – chase it with a raw chili and shrimp paste. Le Trio Coffee – This cafe and roaster in Vientiane specializes in locally grown sustainable coffee. The coffee is fantastic, and it’s a nice friendly place to hang out. Vientiane has a decent and growing selection of hotels and guest houses of all budgets. Budget – If you’re on a budget there are plenty of affordable and great value options like Vayakorn Inn or Sunbeam Hotel. Luxury – For boutique luxury, check out Salana Boutique Hotel or Dhavara Boutique Hotel, all of which are near the Mekong River. Alternatively, there are a few limited options for apartments on Airbnb (use my link for $35 off your booking). On my last trip to Vientiane, we managed to rent a nice condo just north of the center of Vientiane along the Mekong River. If you fly into Vientiane, you’ll land at Wattay International Airport, located about 3 km away from the center of the city. 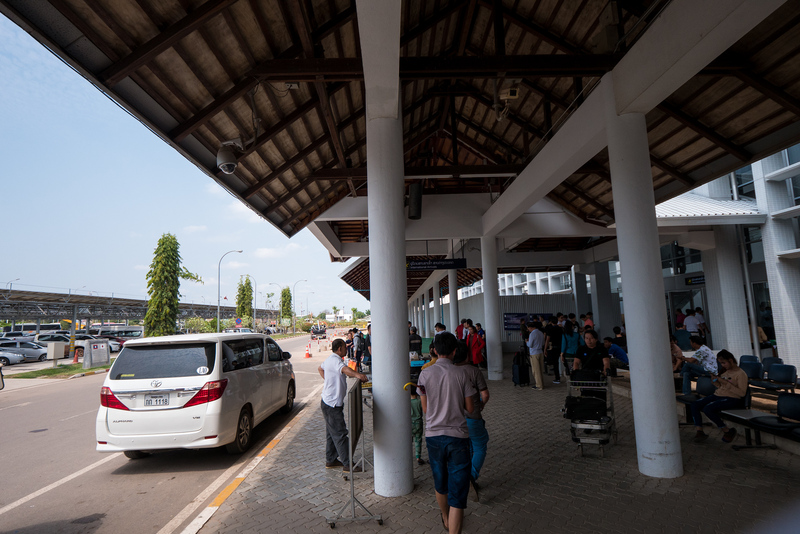 The simplest way to get into town is to get an official airport taxi from the stand just outside baggage claim for 57,000 LAK. Alternatively, you can walk out to the main road and negotiate a price for a tuk tuk, where you might be able to get to the center for around 30,000 LAK. Bargaining can be a bit challenging though, and tuk tuk drivers, don’t go down very much. Visa – Be sure to check all your specific requirements for your country of citizenship. For me as an American, I got a Laos visa on arrival, for $35 USD. Make sure you also have some passport photos and US Dollars with you. Tuk tuks, or jumbos as they are often referred to as, are one of the main and simplest forms of transportation in Vientiane. However, they can be quite expensive, and you have to negotiate and haggle for every ride. Drivers often charge 10,000 LAK per person for a few km ride in central Vientiane. The taxi system is not well developed. If you’d like to take a taxi, you’re best off asking for a phone number of a taxi driver from you guest house or hotel. Full day private taxi’s should cost $75 – 100 USD per day. The good news is, most parts of central Vientiane, especially the Mekong riverside, are easily walk-able. SIM Card (mobile internet data in Laos) – Just as you exit the baggage claim at Wattay International Airport, you’ll about 3 – 4 Laos telecom companies where they can quickly set you up with a tourist SIM and internet data. I bought the 1 month, 5 GB plan with Lao Telecom for 60,000 Kip. Travel Credit Card – (this is for USA citizens) – Most of the time when I travel I use the Chase Reserve credit card, which offers no foreign transaction fees, and some pretty sweet benefits. Travel Insurance – At the moment, I personally use a more long term expat insurance, but if you are traveling short term, it can be a wise choice to buy travel insurance. I recommend World Nomads for their great service and plans. Pha That Luang – Pha That Luang is one of the most iconic and most significant temples and stupas in Vientiane. Wat Si Saket – Built in 1818, Wat Si Saket is a Siamese style Buddhist temple. What’s most impressive is the symmetrical architecture and courtyard. Patuxai – This symbolic arch in the heart of Vientiane is a war monument dedicated to the struggle for independence. Mekong Riverside – One of the best things to do in Vientiane is stroll along the Mekong riverside in the evening. There’s a night market as well, where you’ll find everything from the latest Laos fashion to electronics. 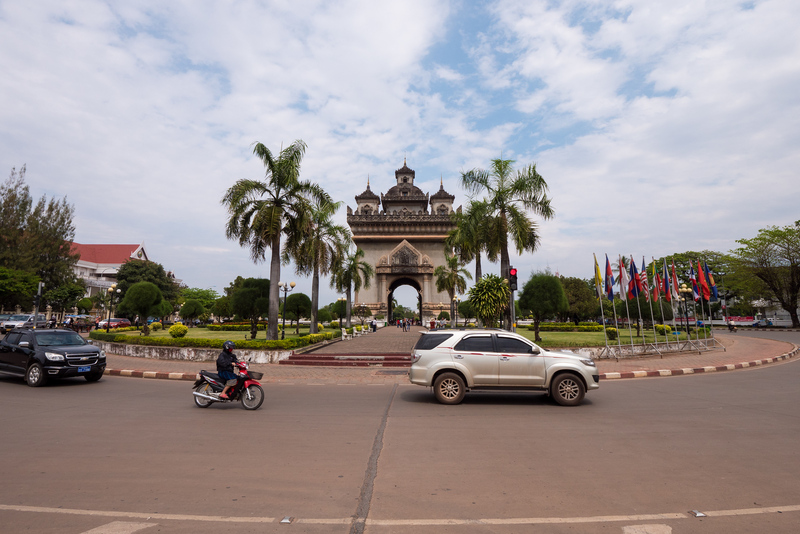 Although the largest city in Laos, Vientiane still retains a small town, relaxed feel, with an exciting mix of Lao food. When you’re there, spend time exploring the local markets (especially the morning market), walking around the Mekong riverside, and don’t forget to enjoy a few plates of ultimate laap. Hope this simple Vientiane travel guide for food lovers offers you some great ideas and tips about your trip to Vientiane!